professional activity [forty-five (45) CEUs reported every third year]. A Certified Clinical Perfusionist (CCP) is required to perform a minimum of forty (40) clinical activities annually. Of the forty (40) clinical activities, a minimum of twenty-five (25) must be documented as Primary Clinical Perfusion Activities (PCPA). Clinical case credit is only given to the perfusionist who is considered the primary perfusionist in a Primary Clinical Perfusion Activity. A primary perfusionist is defined as the perfusionist who is responsible for the conduct of perfusion for 60% of the case and whom the hospital/institution recognizes as the primary perfusionist. Only one (1) perfusionist may submit for primary perfusionist per clinical case. If a CCP is unable to attain forty (40) Primary Clinical Perfusion Activities, a maximum of fifteen (15) activities may be documented as Secondary Clinical Perfusion Activities (SCPA) and will count towards the forty (40) case requirement. Only one (1) SCPA case credit is allowed for a given perfusion procedure. CCPs who become newly certified in the fall (in the middle of a reporting cycle) will be required to document twenty (20) cases for their first reporting cycle only. The reporting period will begin on the date of the certification examination through June 30th of the following year to assume regular reporting requirements of forty (40) cases (July 1st through June 30th) in subsequent years. All clinical cases must be performed on human patients and documentable in an audit. Clinical activities (PCPA and SCPA) along with their core elements are defined in Tables A and B, respectively. Cardiopulmonary Bypass (CPB), Primary A Certified Clinical Perfusionist (CCP) who is the primary operator of the heart-lung machine used during cardiac surgery and other surgeries that require extracorporeal circulation, used to manage the patient's physiological status. Blood pump, reservoir, heat exchanger, oxygenator, extracorporeal circuit used accordingly with hemodynamic/lab value monitoring. Instructor CPA Bypass, Primary A Certified Clinical Perfusionist (CCP) who serves as a clinical instructor to a student enrolled in an accredited perfusion program during primary clinical perfusion activities that require extracorporeal circulation, used to manage the patient's physiological status. Blood pump, reservoir, heat exchanger, oxygenator, extracorporeal circuit used accordingly with hemodynamic/ lab value monitoring. Primary Clinical Perfusion Activities (PCPA) performed as clinical instructor in an accredited program are considered a primary perfusion activity and will receive full case credit. During clinical instruction in which the student is operating extracorporeal circulation equipment, there must be direct one-to-one supervision by the clinical instructor. Students may also receive credit toward certification eligibility for the same case. Extra-Corporeal Membrane Oxygenation (ECMO), Primary A Certified Clinical Perfusionist (CCP) who is the primary operator of Extra-Corporeal Membrane Oxygenation (ECMO) circuit that provides life support for respiratory and/or cardiac failure. Extracorporeal circuit, oxygenator, heat exchanger used accordingly with hemodynamic/lab value monitoring. For each ECMO case, one (1) case credit per twenty-four (24) hours will be awarded for initiating and bedside managing ECMO (4-hour minimum) or bedside managing (6-hour minimum). 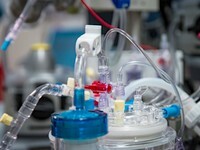 No simultaneous credit will be awarded for managing multiple ECMO patients in this time period. Isolated Limb/Organ Perfusion, Primary A Certified Clinical Perfusionist (CCP), who is the primary operator of an extracorporeal device used to deliver anticancer drugs directly to an arm, leg, or organ that manages the patient's physiological status. Reservoir, blood pump, heat exchanger, oxygenator, extracorporeal circuit used accordingly with hemodynamic, temperature and lab value monitoring. Veno-Venous or Left Heart Bypass, Primary A Certified Clinical Perfusionist (CCP) who is the primary operator of an extracorporeal device, used to perfuse specific vascular regions within the circulatory system. Blood pump, extracorporeal circuit used accordingly with hemodynamic/lab value monitoring. Ventricular Assist Device (VAD), Primary A Certified Clinical Perfusionist (CCP) who is the primary operator of the Ventricular Assist Device (VAD) that provides cardiac support for the failing heart. For each VAD case, one (1) case credit per twenty-four (24) hours will be awarded for initiating and managing VAD or bedside managing (6-hour minimum). No simultaneous credit will be awarded for managing multiple VAD patients in this time period. CPB, First Assistant, Secondary The "CPB First Assistant" is the Certified Clinical Perfusionist (CCP) whom the hospital/institution recognizes as the assistant to the primary perfusionist during the conduction of perfusion. The "CPB First Assistant" must be documented within the operating suite and actively assisting during the operative case. Multiple First Assistant credits will not be allowed during concurrent operative procedures. Ex Vivo, Secondary A Certified Clinical Perfusionist (CCP) who is the primary operator of an extracorporeal device, used to perfuse isolated and separated human organs from the body, for potential transplant opportunities. A device with Ex Vivo blood flow regulation & extracorporeal oxygenation used accordingly with hemodynamic/lab value monitoring. For each Ex Vivo case, one (1) secondary case credit per twenty-four (24) hours will be awarded for initiating and/or managing. No simultaneous credit will be awarded for managing multiple organs in this time period. Intraperitoneal Hyperthermic Chemoperfusion or Intrapleural Hyperthermic Chemoperfusion (HIPEC), Secondary Certified Clinical Perfusionist (CCP) who is the primary operator of an intraperitoneal or intrapleural device. A device with pump flow, circulation, temperature, monitoring and regulation of chemotherapeutic fluids within abdominal or thoracic cavity for periods exceeding thirty (30) minutes. Syringe infusion devices will not be counted as a SCPA. 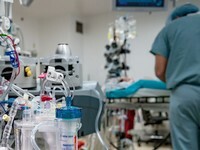 Cardiopulmonary Bypass (CPB) Standby Procedures, Secondary A Certified Clinical Perfusionist (CCP) who is the primary standby operator of the heart-lung machine used during cardiac surgery and other surgeries that require extracorporeal circulation, used to manage the patient's physiological status. Any procedure that may require immediate and onsite extracorporeal circulatory support. Standby procedures must be documented, requested by the attending physician and verifiable in an audit. High-Fidelity Perfusion Simulation (HFPS), Secondary A Certified Clinical Perfusionist (CCP) who is the primary operator of the heart-lung machine or ECMO circuit, used to manage physical and physiological variables during simulated perfusion scenarios taking place at an ABCP-recognized HFPS center. HFPS is the use of simulation modalities or mechanisms to create a realistic patient model or perfusion situation. HFPS must be an interactive process facilitated by a CCP using standardized medical simulation devices that integrate realistic perfusion events experienced during CPB procedures in a realistic surgical setting using a conventional heart-lung machine or ECMO circuit. Each HFPS or HFPS series must have an education/briefing, simulation and debriefing. The simulation/simulation series length must be no less than fifty (50) minutes of active simulation activity. One (1) case credit is awarded for each HFPS activity that meets or exceeds these guidelines. Each HFPS must include and retain a participant evaluation form. Beginning with the 2013-2014 recertification period, all regular recertification reports must be submitted through the Online Filing System (OFS). The CCP may access his/her OFS account in order to record cases (Clinical Activity Report) and CEUs (Professional Activity Report) throughout the reporting period. Learn more about the Online Filing System (OFS) on our FAQs page (items 10-13). The ABCP National Office staff is also available to assist CCPs who have questions or issues regarding the system. The CCP must sign all hospital perfusion records in order for the designated authority to verify cases on the Clinical Activity Report during audits. The American Board of Cardiovascular Perfusion conducts an audit to ensure the accuracy of the Clinical Activity Report in order to maintain high standards and quality assurance. A percentage of Clinical Activity Reports are chosen randomly each year for audit. The audit process is conducted by the Chief Perfusionist, Operating Room Director or other designated hospital authority. The Clinical Activity Report and the signed Authorization for Release of Information form are sent to the designated authority for verification. It is necessary for each CCP to list a designated hospital authority for each hospital in which cases are reported. The designated hospital authorities and the addresses for the authorities must be listed on the Adding a Hospital screen on the Online Filing System. Designated Authorities should be updated annually. If the cases cannot be verified by the designated authority, the perfusionist is contacted to provide verification of the cases and explain discrepancies. 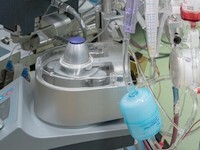 The perfusionist is ultimately responsible for providing verification of the cases and explaining discrepancies. Should fraudulent cases be discovered, the issue is submitted to the ABCP Ethics Committee for appropriate actions. Clinical Activity Reports cover the period of July 1st of the previous year through June 30th. For new CCPs that become certified in the fall, the reporting period begins on the date of the certification examination through June 30th of the following year. hospital address and designated authority information. A complete Clinical Activity Report is required for annual recertification. All reporting periods end on June 30th. Clinical Activity Reports must be completed and filed through the Online Filing System with the appropriate fee no later than midnight August 1st. The first Clinical Activity Report for a newly certified perfusionist is due August 1st in the year following the year in which he/she successfully completes the examination process. Certified perfusionists submitting recertification reports after August 1st through August 31st are assessed a $75.00 Late Filing fee. Requests must be made in writing by the August 1st filing deadline. The Extension Clinical Activity Report* must be submitted, complete with all activity up to June 30th along with the appropriate Filing fee. If approved, the deadline will be extended to December 31st at which time the application must be completed and a $75.00 Late Filing fee paid. An extension will not be granted to an individual more than once during a three-year period or to an individual on conditional certification. Upon receipt of complete recertification reports and appropriate fee(s), a new time-limited certificate will be issued to each CCP every third year. For the ensuing years, dated stickers will be issued and must be attached to the CCP's current certificate to extend the certificate's validity. Certificates and date stickers issued by the ABCP are the sole property of the ABCP and may be canceled at its discretion. By acceptance of the certificate, the holder agrees to return the certificate to the ABCP upon demand. Presentation and display of the certificate is permitted only when it is current and valid. Presentation, display or any other use of an outdated, invalid certificate is expressly prohibited. At times, a CCP will be unable to maintain certification because of a deficiency in either clinical and/or professional activity. For this reason, and because many individuals wish to maintain an acknowledgment of having been certified, an inactive status may be requested. Individuals on Inactive Status receive all ABCP publications, and their names are published on the ABCP website. After notification of loss of certification, submit a request to the ABCP National Office for Inactive Status. Sign an agreement to discontinue the use of the title, "CCP." Remit the Annual fee to the ABCP National Office prior to August 1st. Access a current listing of individuals on inactive status. Learn more about the CCP Emeritus standing and access a current CCP Emeritus listing. Certified Clinical Perfusionists are responsible for informing the National Office of the American Board of Cardiovascular Perfusion of their current address. The CCP should update the Online Filing System with the address change and notifying the National Office. A CCP who fails to submit the completed recertification report with the appropriate fee by the August 1st deadline and does not formally request an extension will be placed on conditional certification. payment of all normal Filing fees, a $75.00 Late Filing fee and a $75.00 Reinstatement fee. If unable to successfully complete the reinstatement requirements for conditional certification, the perfusionist must request "extended leave" status in writing prior to the August 1st deadline of the conditional certification year. If unable to satisfy the above requirements, reinstatement will be granted upon successful completion of the CAPE prior to the December 31st deadline of the "extended leave" year. If none of the above requirements are completed by December 31st of the extended leave year, all steps listed below in the "Re-entry into the Certification Process" section must be completed. Learn more. Individuals on clinical activity conditional certification and extended leave are required to complete the Professional Activity Report* during the conditional certification period. falsifies any portion of a recertification report. The American Board of Cardiovascular Perfusion shall be the sole judge of whether or not the information before it is sufficient to require or permit revocation of any certificate issued by the ABCP, and the decision of the ABCP thereon shall be final. CCPs who lose or who are in danger of losing certification may make a formal written appeal to the ABCP. If uncertified for less than three (3) years, the applicant must take the Clinical Applications in Perfusion Examination only. No perfusionist may utilize this option in two (2) consecutive recertification cycles. submit a letter of clinical competency from his/her supervisor. remit a $250.00 Reinstatement fee. The ABCP must approve perfusionists who have lost certification because of unethical conduct for re-entry.